The incidence of diabetes is increasing at epidemic proportions worldwide, presenting a huge challenge to modern medicine. In response, scientific advances in the understanding of diabetes and its complications are being translated into improved clinical practice at ever faster rates. Greater understanding of aetiopathogenesis of the different types of diabetes, the emerging roles of novel pharmacological agents and the importance placed on multidisciplinary team working and multi-risk-factor treatment all contribute to this. 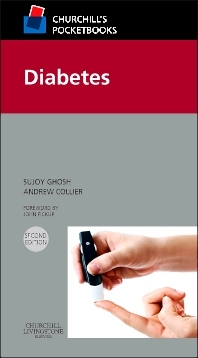 Now in a fully revised second edition, this clear, concise guide to modern diabetes and its management will prove invaluable to all health professionals in this field.